America is known as the land of the free and home of the brave. But, for some refugee and immigrant women, a new country with a new language and rules can be very tough to navigate. Elena’s Light was born from this very issue. The organization focuses on educating immigrant and refugee women on the English language. They also offer driver’s education, in hopes that these women will be able to obtain a learner’s permit and have easier access to maternal healthcare. 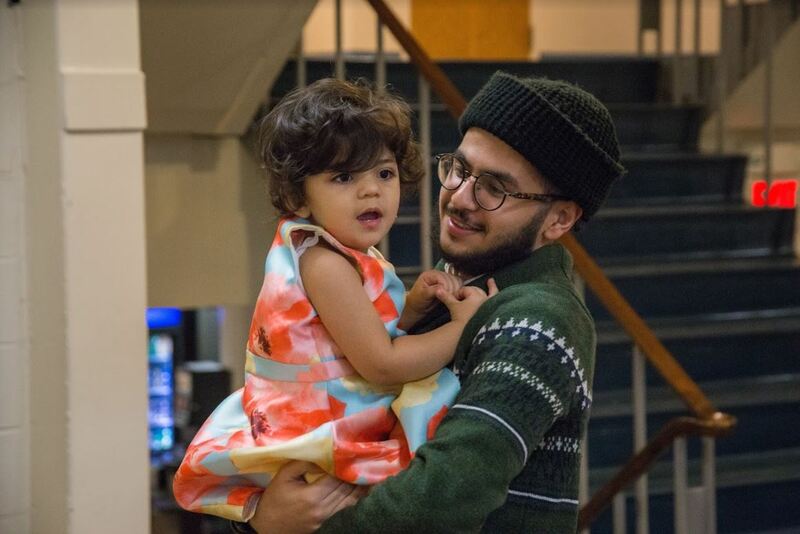 Using volunteers from the University of New Haven and Yale, the program offers one-on-one home tutoring to Afghan immigrant women in the New Haven area, according to their website. 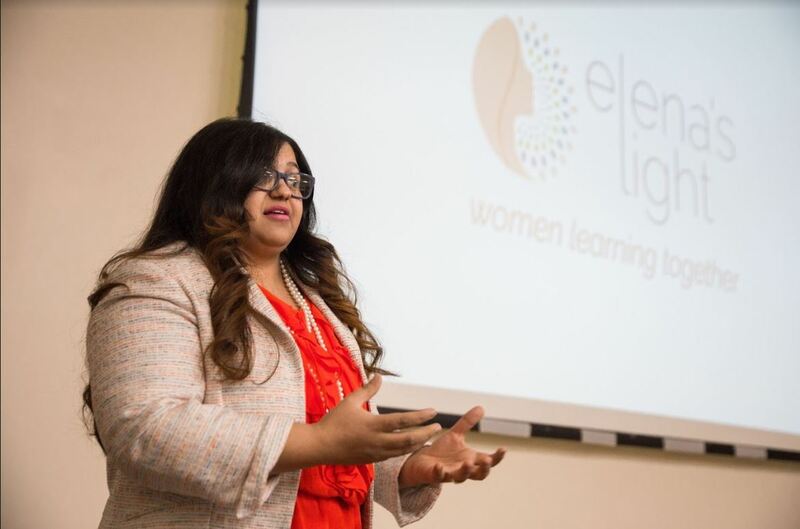 However, Fereshteh Ganjavi, founder of Elena’s Light, would like to see the program expand to serve a more diverse group of women in the future. Currently, there are 12 women enrolled in the program, whose names are unknown for privacy. Every woman is paired with two volunteers who meet for one-two hours per week. Together they practice English and study the state of Connecticut driver’s manual. 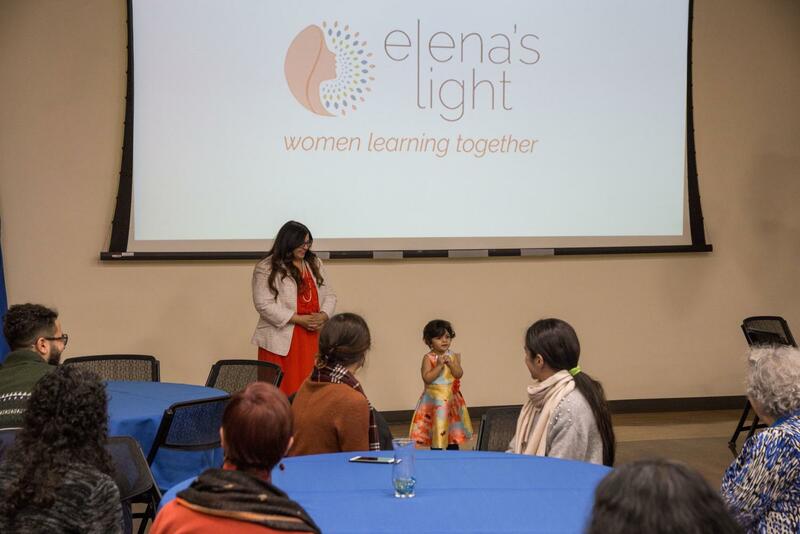 Fereshteh Ganjavi, founder of Elena’s Light, speaks to the audience about the organization’s mission and what it means to her. “I came myself as a refugee, and I had all of these needs myself,” said Ganjavi. 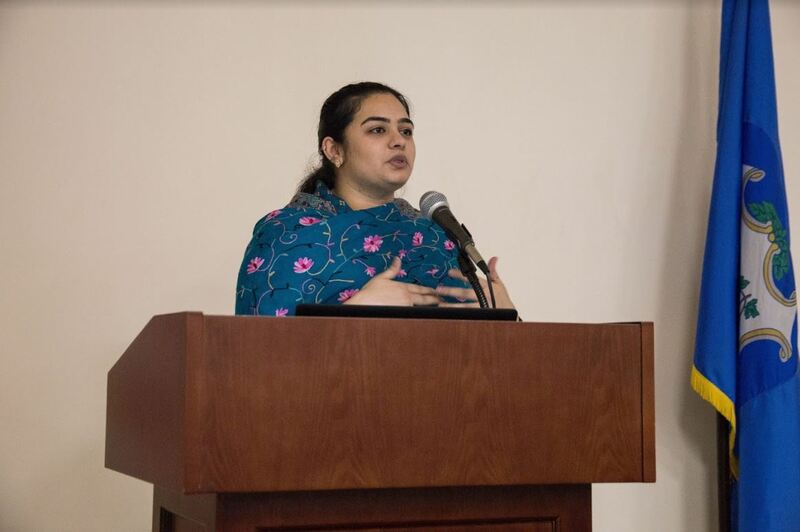 After arriving in the U.S. eight years ago and building her career, she went out into her community and saw that there were women facing the same obstacles she had to overcome, according to Ganjavi. “It affects also your health on the body. You get nervous when you are not able to do very easy steps,” she said. On Feb. 1 in the Alumni Lounge, Ganjavi celebrated the second “birthday” of the program, which coincides with her daughter Elena’s birthday. She named the program after her daughter whose name, according to their website, means “light” in Farsi. 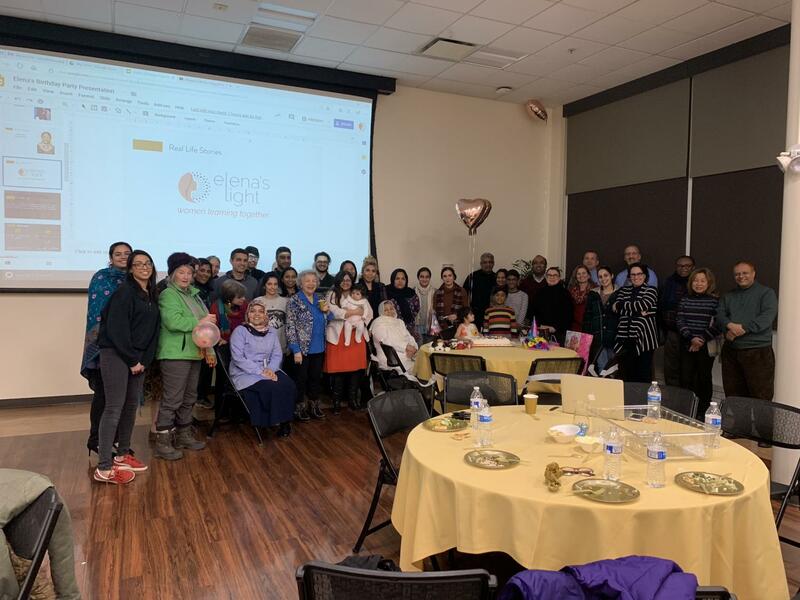 Elena’s light was named after Ganjavi’s daughter, who also celebreated her second burthday surrounded by Elena’s Light supporters. At the party, Ganjavi, along with volunteers and women currently enrolled in the program, testified to the program’s successes to raise awareness of the work they are doing in the community. The two testimonies given stressed the women’s priorities and goals for the future. Ganjavi uses her own success as inspiration for the women in the program. 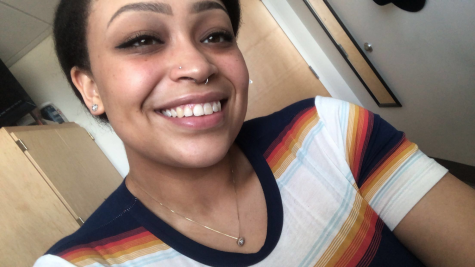 One woman has come out of the program with a success story of her own, obtaining her learner’s permit. She shared the news with Ganjavi over the phone and continues to practice with her husband according to the program founder. The night concluded with a meal cooked by one of the women in the program and a birthday cake for the two-year-old Elena herself. Hena Zakir, director of program development for Elena’s Light, addresses the guests.